All photos on this page by Jim Mason This complex wetland is alive with many sights, sounds, and smells. Dams and dikes on Marsh Creek produced two large, shallow lakes with cattail marshes, an ideal place for migrating waterfowl and shorebirds. The best viewing seasons are from mid-February into May and from late August through November. Bluewing Marshes viewed from the overlook The two best viewing sites are at the bridge between the lakes 0.5 miles west of the information area near the north dam and on the K-148 bridge over Marsh Creek. For an overview of the entire valley, use the scenic overlook at the north end just east of the bridge on K-148. The south lake has a road bordering its east shore that is also an excellent viewing area. Common ducks include redheads, ring-necked ducks, lesser scaup, mallards, green-winged teal, American wigeons, northern pintails, northern shovelers, blue-winged teal, ruddy ducks, common goldeneyes, buffleheads, and common mergansers. Greater white-fronted, snow, and Canada geese are also common. Other water birds include herons, avocets, terns, sandpipers, plovers, kingfishers, cormorants, and white pelicans. Look for the domed huts of the muskrats that thrive among the stands of cattails. With patience, you will eventually catch a glimpse of these water-loving mammals. Water turtles are plentiful. Pit toilets, shallow boat landings. 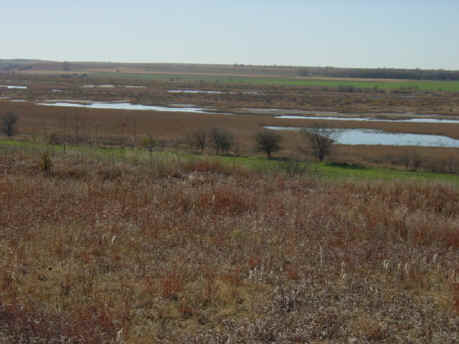 Click the icon to find a birding list for Republic County. Directions: From Concordia (55 miles north of Salina) take U.S. 81 north 8 miles to K-148. Go west 12.5 miles on K-148 to Courtland Road. Drive south 2.5 miles to the information and restroom area on the east side between the lakes. 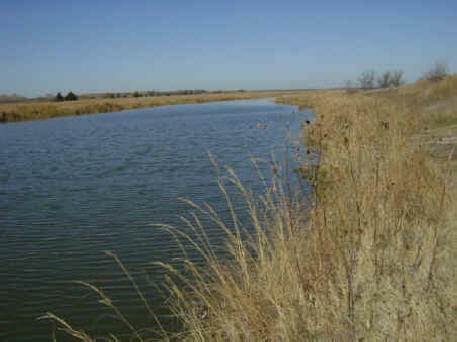 You may download the brochure for Jamestown Wildlife Area here.